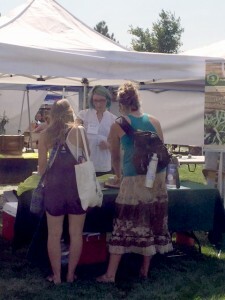 It was a warm and beautiful weekend, as Pure Hemp Botanicals joined well over a hundred other vendors at The Sustainable Living Fair in Fort Collins, Colorado. 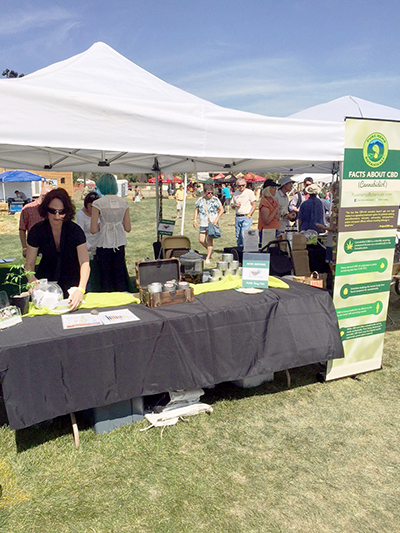 The energy was buzzing as live music filled the air and people walked from booth to booth, learning about renewable energy, sustainable and local agriculture, natural health, and environmental responsibility. The HEMP SUPERBOMB TRUFFLE was a tasty raw food, packed with protein! Made with raw cacao, goji berries, EFA seeds, dates and hemp flour/seeds, it’s a high protein, superfood, energy ball that was like eating healthy fudge! All organic ingredients included dates, walnuts, pumpkin seeds, flax seed meal, raw cacao powder, hemp protein powder, raw cacao nibs, virgin coconut oil, vanilla, cinnamon, and hemp hearts. Our OATMEAL CREAM PIE was an oatmeal hemp cookie filled with lemon coconut crème filling—a hemp healthy delight in a yummy cookie-like package! Ingredients included a gluten free flour blend (GF oat flour, organic rice flour, organic white rice flour, organic tapioca flour, xantham gum), organic brown sugar, soy free Earth Balance, organic palm oil shortening (sustainably sourced), organic applesauce, organic GF vanilla, organic GF oats, organic cinnamon, organic powdered sugar, organic pureed coconut, fresh lemon juice, hemp milk, and fresh lemon zest. And finally, we gave away samples of what Chef Sarah calls our MAHALO BAR. This yummy bar was made with Himalayan salted caramel, hemp ganache created so that the cold pressed EFAs were preserved, coconut, and a macadamia nut shortbread crust. Ingredients included gluten free flour blend (GF oat flour, organic rice flour, organic white rice flour, organic tapioca flour, xantham gum), organic brown sugar, soy free Earth Balance, Himalayan rock salt, organic GF vanilla, macadamia nuts, vegan chocolate chips, hemp milk, cold pressed hemp seed oil, and organic coconut. 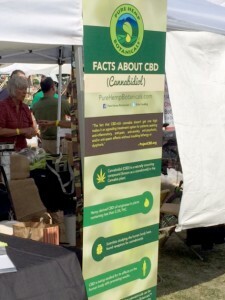 We had some rave reviews from the folks who stopped by to sample, and we’re looking forward to bringing you more baked goods and new Hemptealicious flavor blends in the future! Thanks to everyone who stopped by our booth at the Sustainable Living Fair and we look forward to connecting with you again soon! Renewable Energy • Alternative Transportation • Sustainable & Local Agriculture • Green Building • Natural Health • Environmental & Social Responsibility • Local Economies & more! The Fair features nearly 10,000 attendees, acclaimed Keynote Speakers, 150 exhibitors, 50 workshops, hands-on experiences, Family Planet with a Natural Parenting Nook, Natural Health and Yoga Tent, live music and entertainment, our Real Food Market and Local Libations – featuring world class beer, wine, cider and mead. The Sustainable Living Fair is an energetic, solutions based approach to building and enhancing community and our connections to a vibrant, healthy future.